The client requested a design that would elemiate the tub and add in a make-up area with more storage. With the current layout , they had a masive tub and a very small shower, the design objective was to make the entire space more funtional. 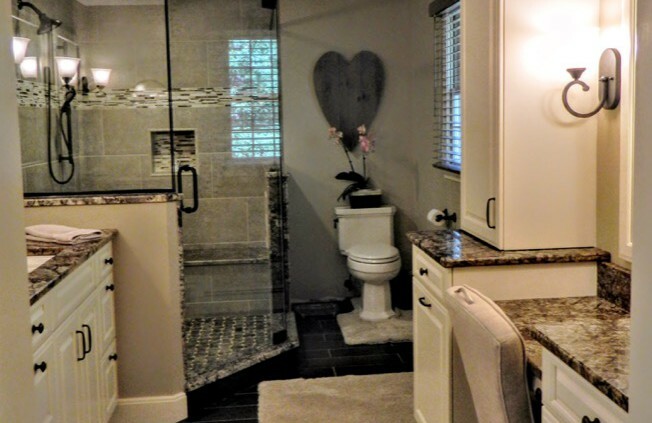 In the final design the tub was removed and the shower was put in its place, the vanity was then swapped to the opposite wall , which then allowed space for the make & storage area. They can not utilize every section of this room.